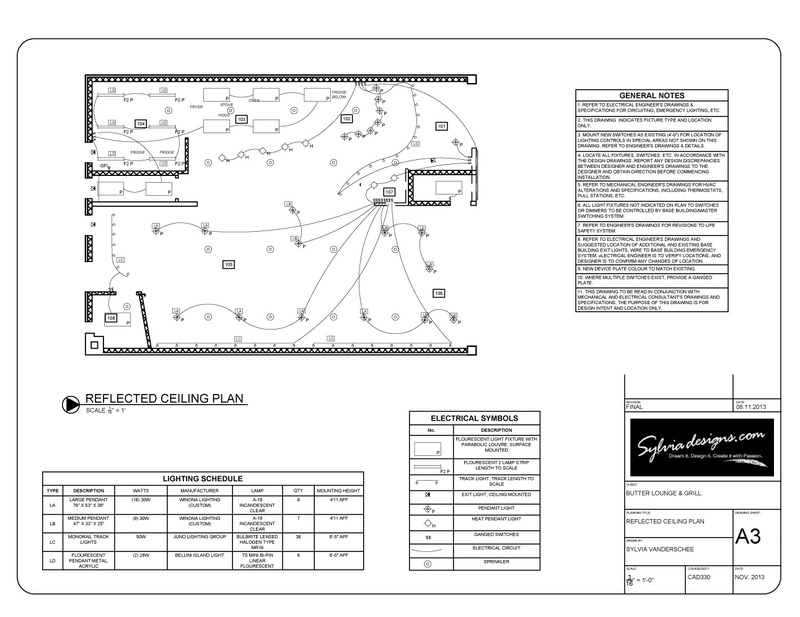 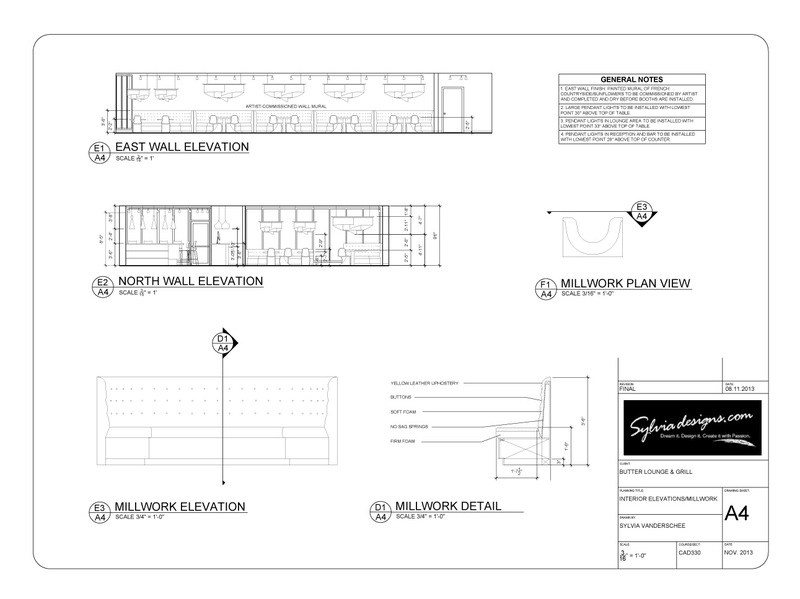 This project was an exercise in creating a complete set of technical drawings for a restaurant conversion. 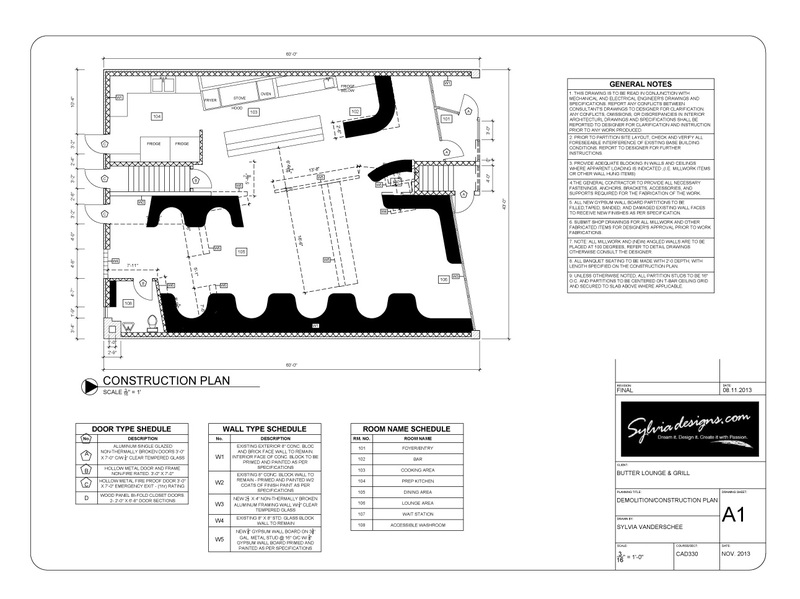 I was given a base drawing of an existing restaurant and a set of requirements about what had to be demolished and what had to be added. 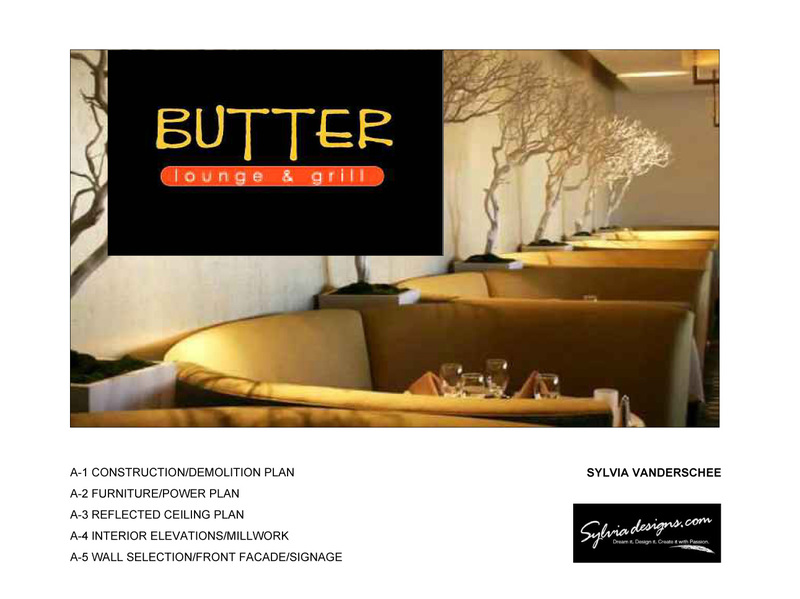 I came up with the concept, name, logo, look and feel, furniture, lighting and design of Butter Lounge & Grill. 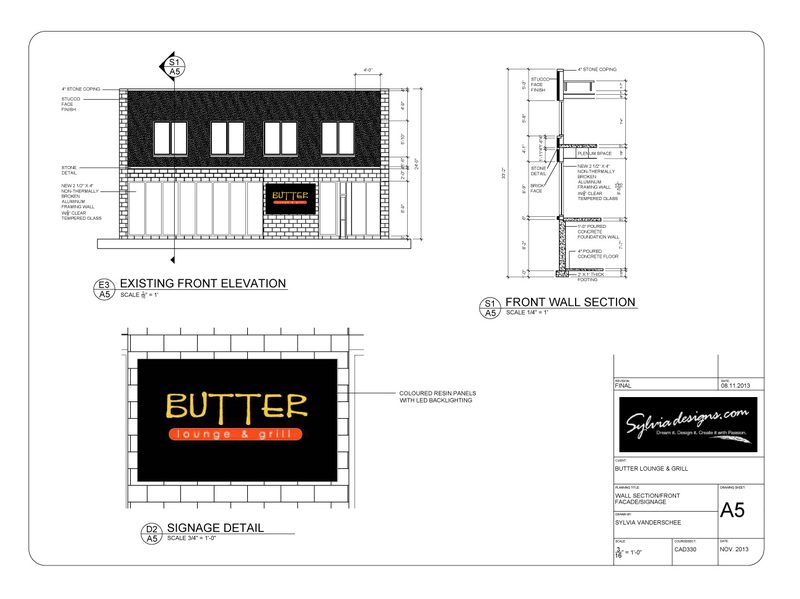 This exquisite French small plates restaurant exists very clearly in my mind. 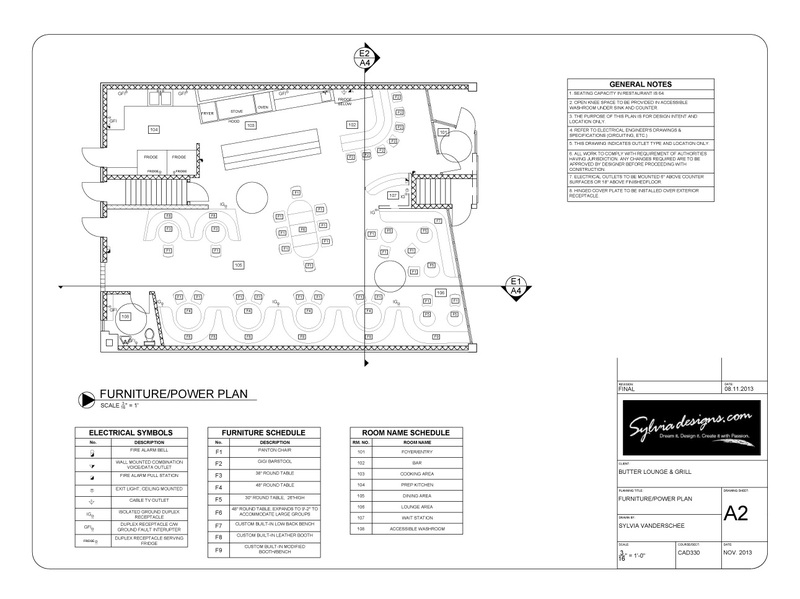 I tried to convey this image using my developing AutoCAD skills.